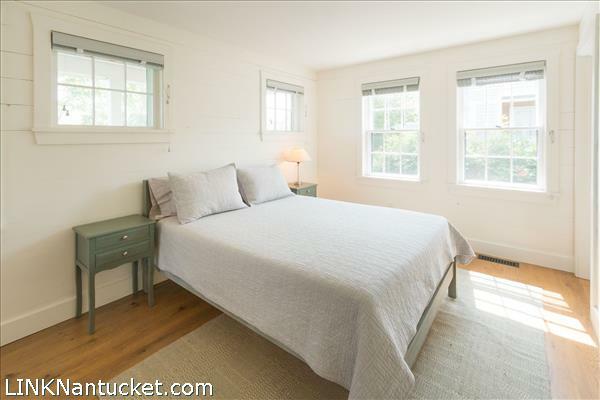 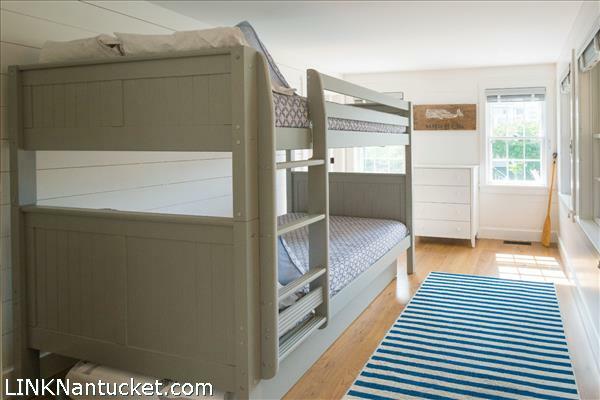 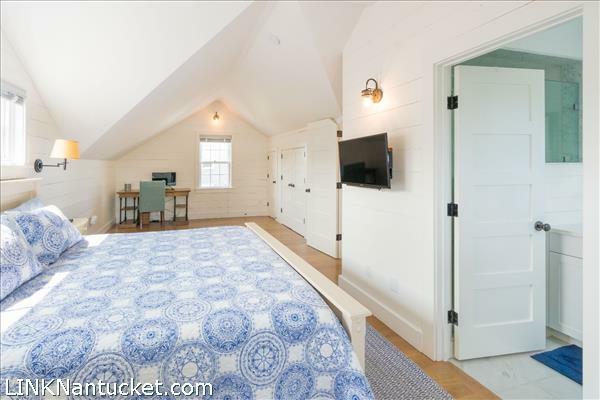 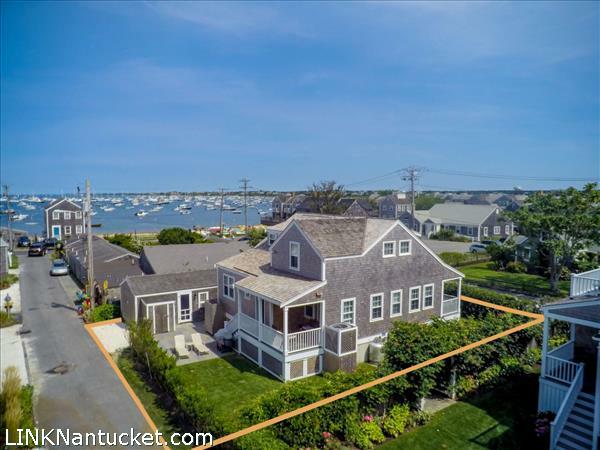 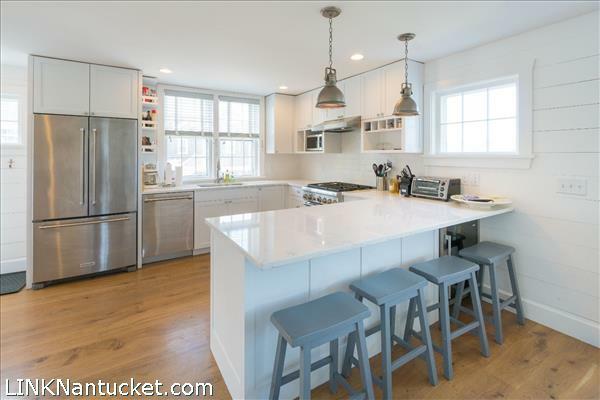 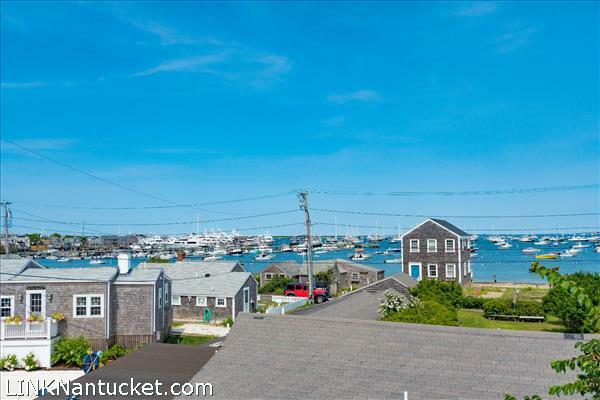 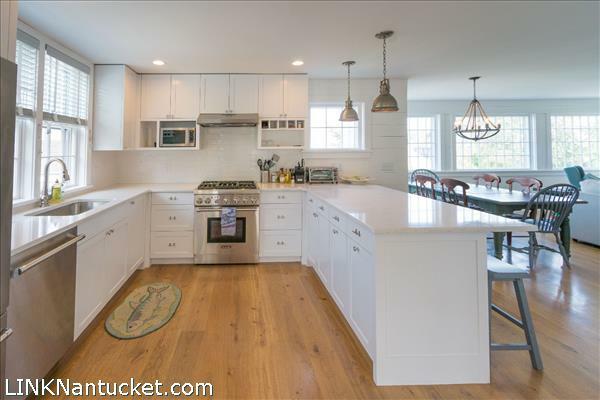 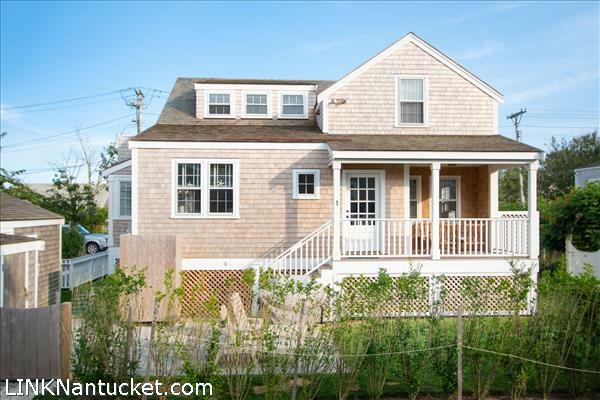 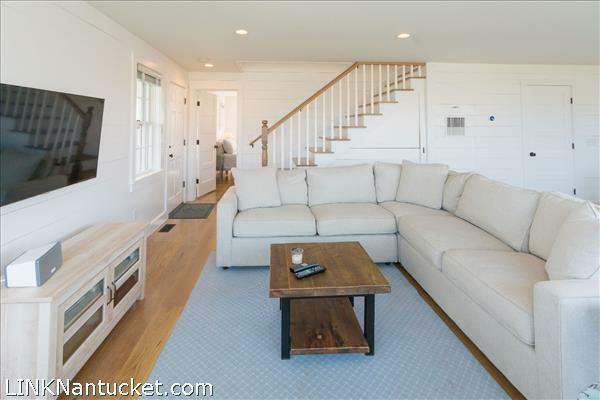 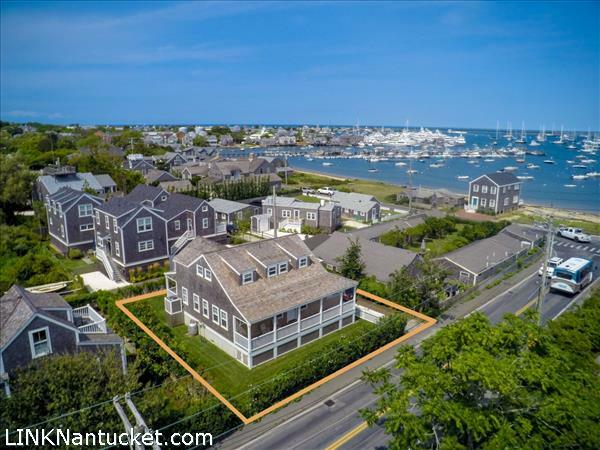 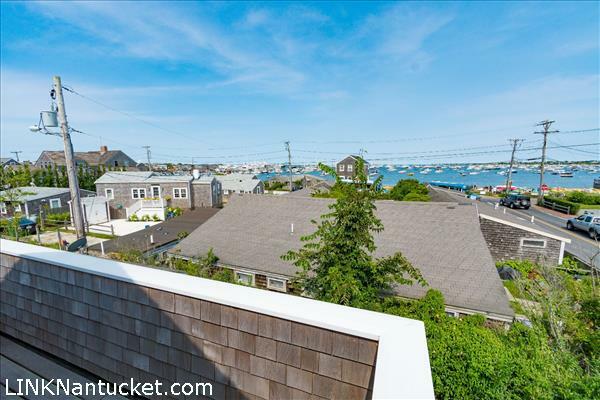 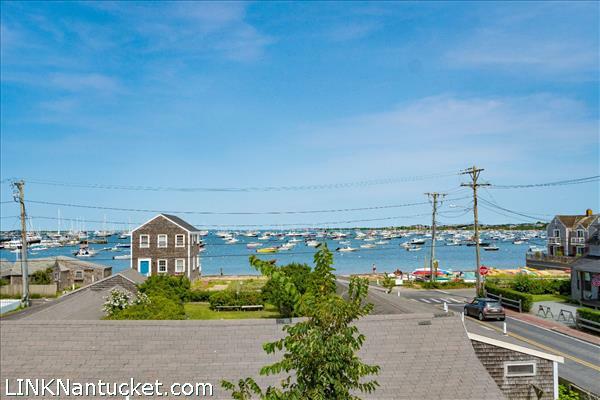 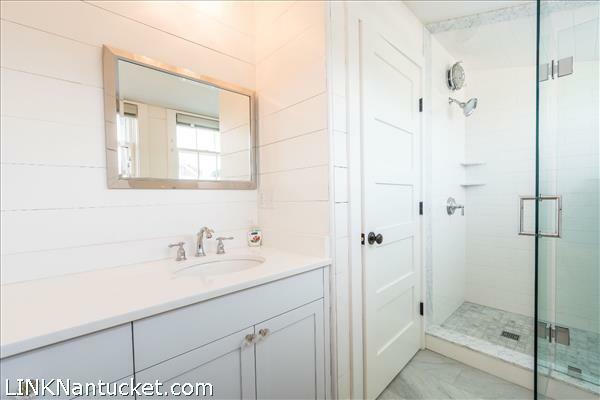 Nantucket Harbor views from this recently built 4 Bedroom, 3.5 Bath with garage, moments away from downtown, shopping, beaches and boating. 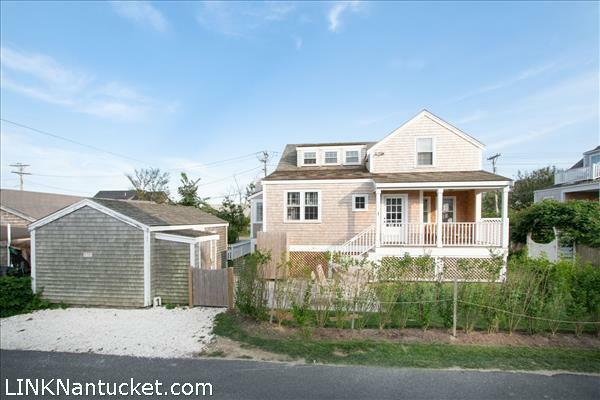 Off street parking, open living concept, great porch and yard space make this an excellent offering. 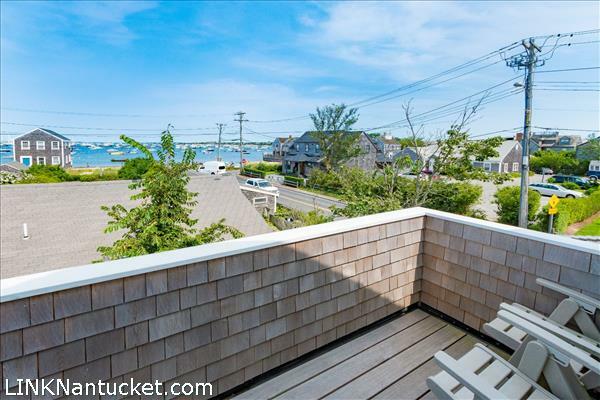 Very strong rental property with long season booking opportunities. 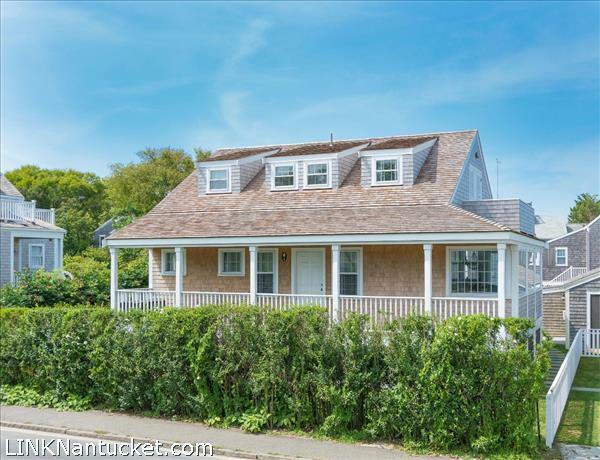 This property is well suited for an investor or end user looking for sound rental investment potential. 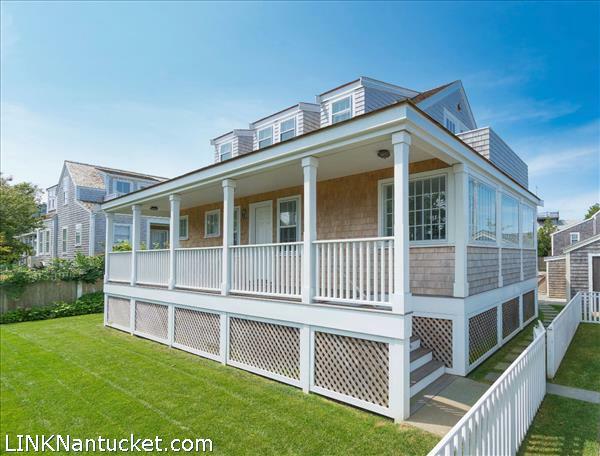 First Floor: Covered porch entry opens to open living, dining and kitchen areas. 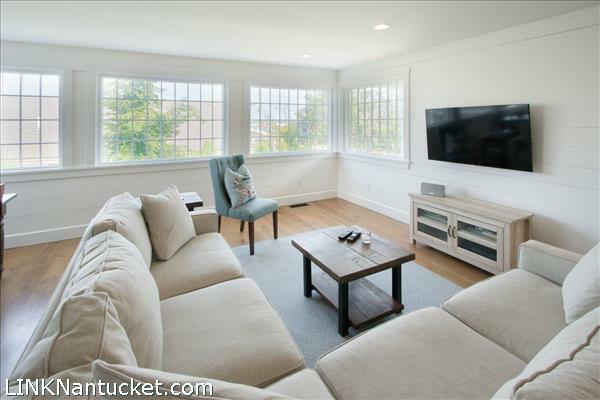 Large windows flank the right side of the living/dining room and offer an abundance of natural light with views of Nantucket Harbor. 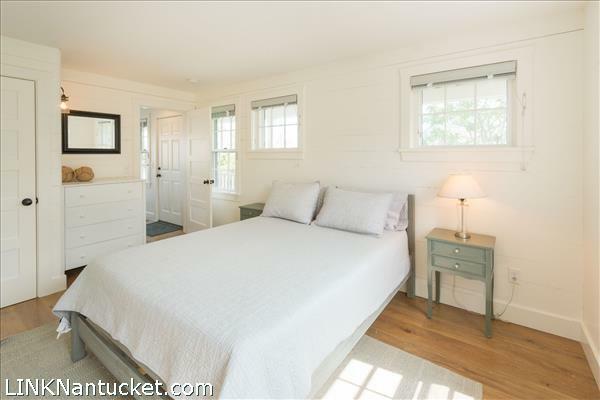 To the left of the front entrance, are two guest rooms that share a full bathroom. 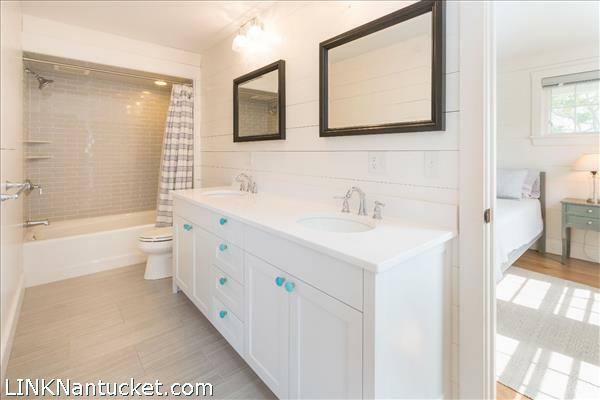 The laundry area with half bath is located off of the kitchen and provides access to the back deck, yard and detached garage. 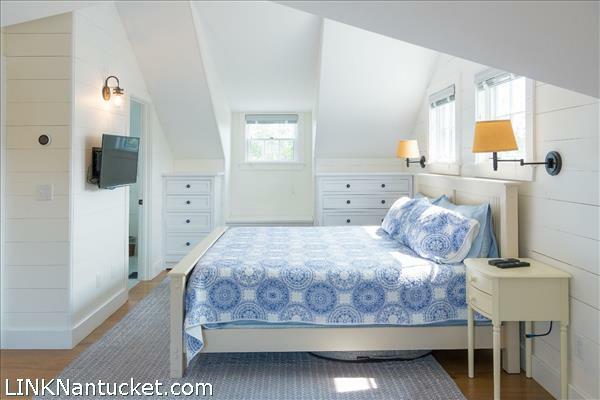 Second Floor: Stairs lead to two sizable bedrooms each with their own full bathroom. 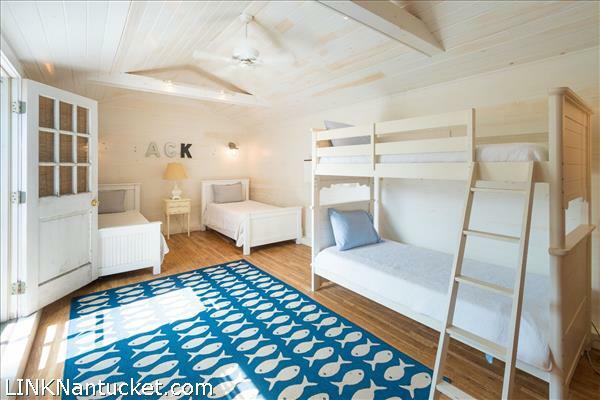 One bedroom boasts custom built-ins and a comfortable sitting area next to the closet. 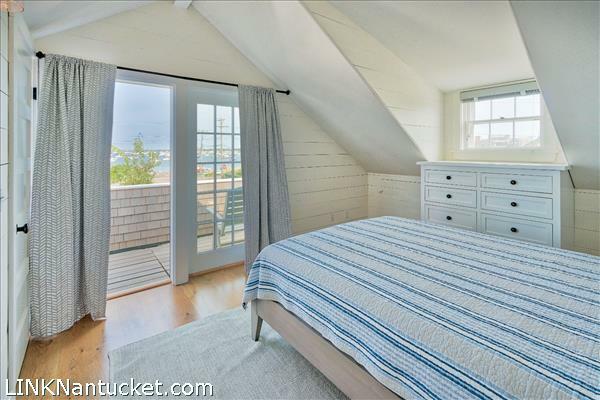 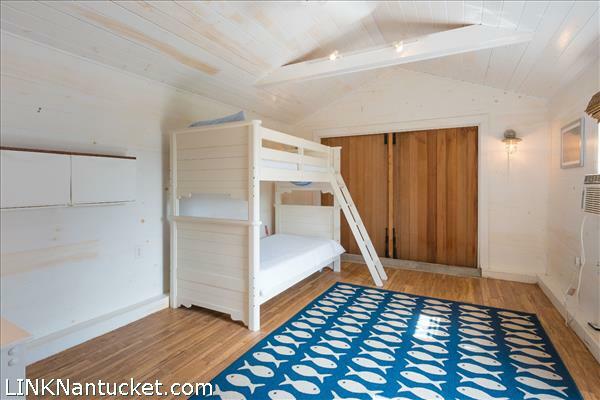 To the right of the stairs, the guest bedroom includes a balcony with harbor views.